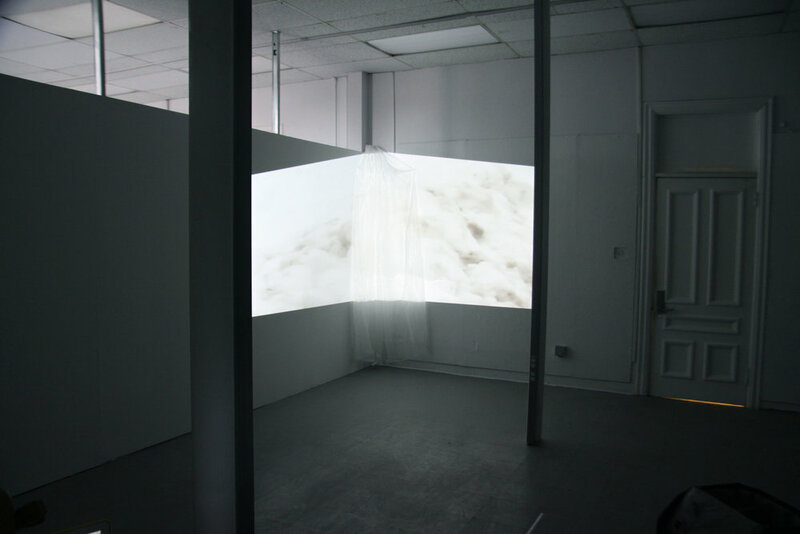 This installation is a formal experiment into the properties of digital light, referencing Whistler's Study in White, this work attempts to make a white projection, on a white wall while still using figurative elements. 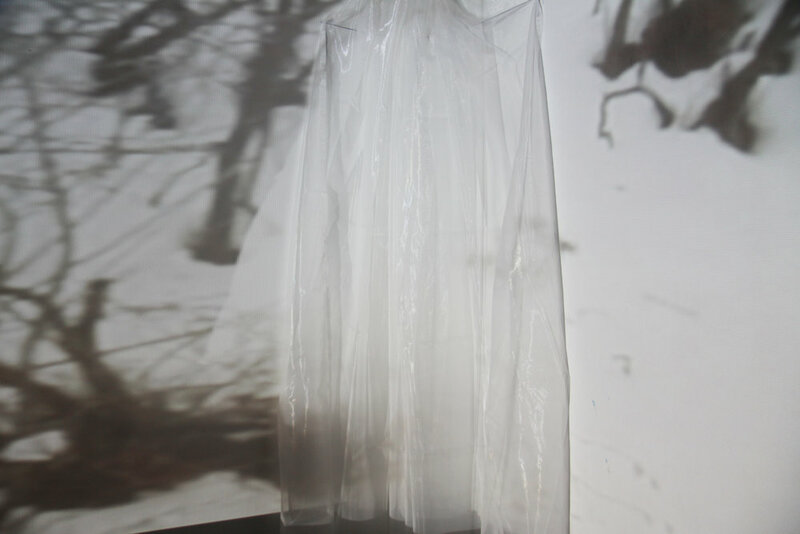 A figure in white is hidden within the sheer white veil of the installation and superimposed on scenes of a snowy landscape. Projected into the corner and on a voluminous piece of fabric, the projection attempts to break the 2D limits of a projection.